There’s lots of fun to be had down at the waterfront of this dynamic city. Halifax hosts many festivals each year, most of which happen on her sparking port. When in Halifax, do as the Nova Scotians do and indulge in a delicious lobster roll. 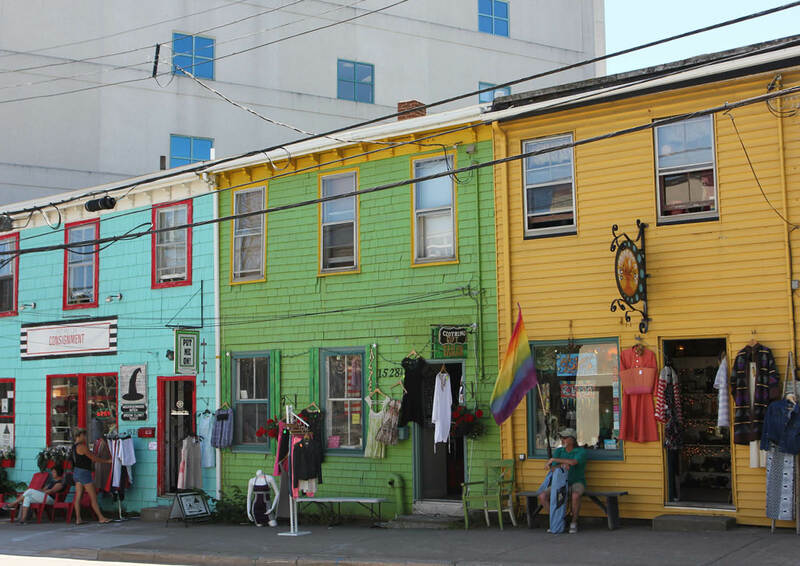 Halifax is a historic city with many heritage buildings remaining to give her plenty of charm and character. No visit to the city is complete without a visit to Halifax Citadel National Historic Site. Halifax Public Gardens are a stunning spot to sit for lunch, they even have free concerts daily in summer. 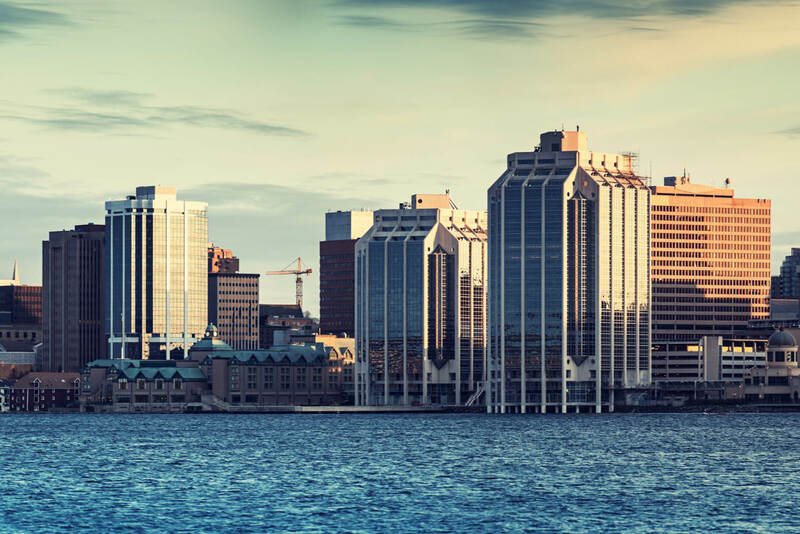 The beautiful port city of Halifax is the capital of the Canadian province of Nova Scotia. Begin your Atlantic Provinces journey in the maritime city of Halifax for a grounding in Nova Scotian culture, history and yarns. To get started, we’ve hand-picked the absolute best experiences to fill 48 incredible hours in this waterside town. Writes Lara Picone. I’ve just missed Justin Trudeau. Yesterday, the swoon-worthy Canadian Prime Minister who has beguiled the internet since being elected in 2015 was marching downtown for the 30th annual Halifax Pride Parade. I’ve arrived too late for the party but the resonance of a good time is still lingering in this waterfront city when I arrive the next day. The summer sun entices tourists to the waterside boardwalk and into the restaurants and bars collected alongside it. Many a local craft beer is on the pour, being eagerly downed by socks-and-sandal-wearing Canadians on mini-breaks. The sound of gentle waves smacking against buoys and bows mixes with the scent of salt air and the unmistakeable aroma of fried fish. It feels like the city is enjoying a perpetual long weekend. As the capital of the Atlantic Province of Nova Scotia, Halifax is an attractive destination for domestic tourists, and you’ll even find a few curious Americans who’ve wandered across the border to check out this historic city. With a population hovering above 400,000, this maritime gem gets a warm gust of wind in her sails come summer with seemingly endless events playing out along her waterfront. From film, folk and fringe festivals to a tall ships regatta, night markets and even a harmonica festival, Halifax is a compulsive social butterfly. Mind you, her appetite for a festival isn’t limited to summer with events on the roster year-round. She’s also the best place to begin a journey of the east coast’s Atlantic Provinces. Fly in and spend a couple of days acclimatising before setting out into Nova Scotia and beyond. Check the city’s social calendar and time your visit with one of her many events, then follow our guide below for an incredible 48 hours sampling her ample cultural assets. There’s no better way to orient yourself in a new city than with a good breakfast and a cup of coffee. Now, truth be told, Canada does many things wonderfully, but outside her large cities, coffee generally isn’t one of them. As coffee-obsessed Australians, this can be one of the biggest frustrations when travelling in North America, so be rest-assured you can find a solid, espresso-style cuppa at Norbert’s Good Food, which is conveniently located at the Halifax Seaport Farmers’ Market. The market is open every day and is the oldest continuously operating market in North America, having being installed in 1750. Aside from a proper coffee, the farm-to-table Norbert’s does a beautiful organic breakfast, which you can enjoy outside at the waterfront location. Once you’ve demolished your Swiss chard scramble and gulped down a kale juice to help you normalise after your long-haul flight, head inside to the market for a stroll through the many producer stalls. If you have yet to extend your stomach to its limit, grab a pretzel to munch as you browse. 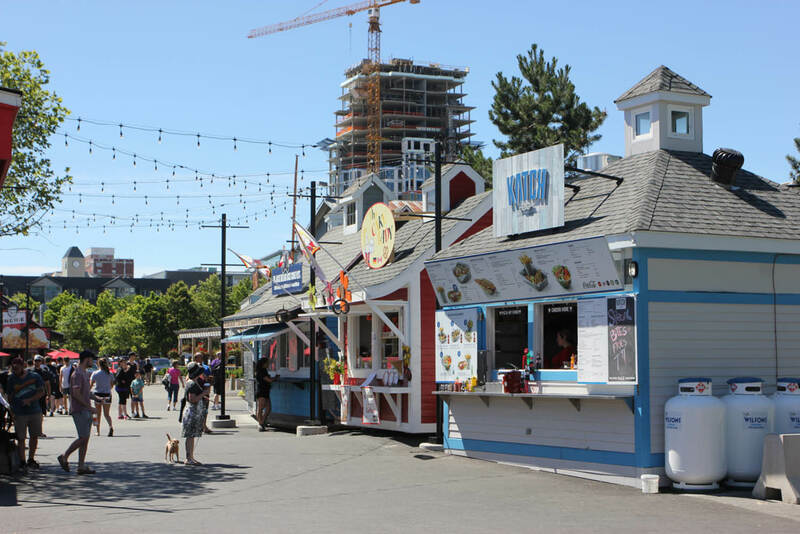 The long waterfront boardwalk begins from the farmers’ market, so set your Fitbit and start walking. Along the way, you can drop into the Maritime Museum of the Atlantic, which proudly displays the finest collection of wooden artefacts recovered from the Titanic. As the closest major port to the site of the sunken vessel, much of the wreckage, and bodies, were brought to Halifax following the 1912 disaster. It’s a fascinating, if somewhat eerie, peep into what is arguably the most famous shipwreck of all time. Once back in the present-day and out in the open air again, don’t hurry along the boardwalk. Take your time to peruse the piers, admiring their tethered vessels and soaking up the seafaring culture that is the marrow of this maritime city. 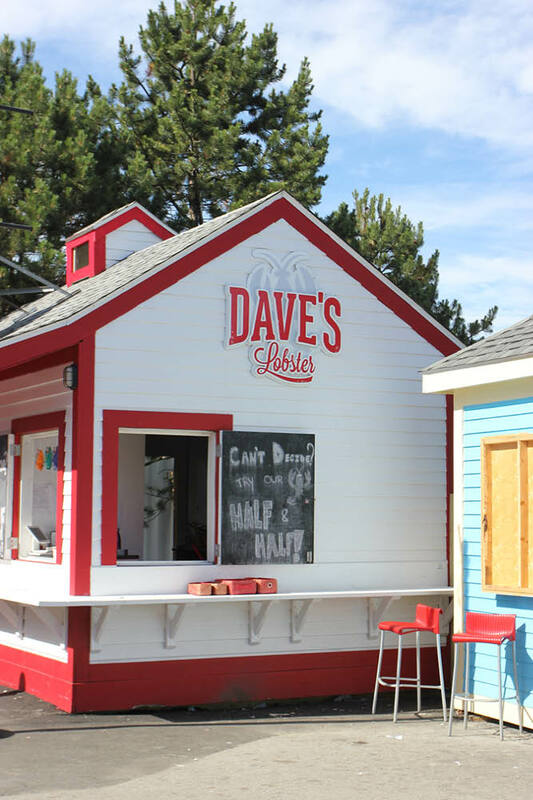 Stop by the brightly painted souvenir shops masquerading as boatsheds and selling everything from plush lobster toys to saltwater taffy, and stop for a pint or two of local brew (and maybe a lobster roll) at one of the many pubs and breweries along the way, such as Alexander Keith’s Nova Scotia Brewery. During summer, local brewery the Stubborn Goat pops up with a cool waterfront beer garden complete with wooden decks and a DJ. With young, upbeat staff, string lighting and an endless-summer vibe, it feels like, and is, a celebration of summer. When it all becomes a little too much, ease yourself into one of the adirondack chairs strategically positioned along the boardwalk to absorb the most scenic views, and plot your next move. That next move may indeed be dinner. Having spent the day meandering along the waterfront, there really is no need to venture off its wooden walkway. If Halifax is to be your first stop on a journey through the Atlantic Provinces, know that you won’t read a menu that doesn’t feature a lobster roll, shrimp roll, or fish and chips in some form from here on in. Even the most ardent crustacean connoisseur may suffer fish fatigue after a week of this, so take the opportunity to pace yourself and order something else. For that, I recommend finding an outside table (in summer, the sun will shine until 9pm, so make the most of outdoor dining) at The Bicycle Thief. Using locally sourced ingredients this eatery plates up classic Italian and North American fare. The spaghettini ‘aglio e olio’, is a simple and well executed example of the Italian side of The Bicycle Thief’s persona. Having spent yesterday pacing yourself and the waterside, it’s time to stride uphill to absorb a loftier view of the city and her harbour. Your destination is the Halifax Citadel National Historic Site. 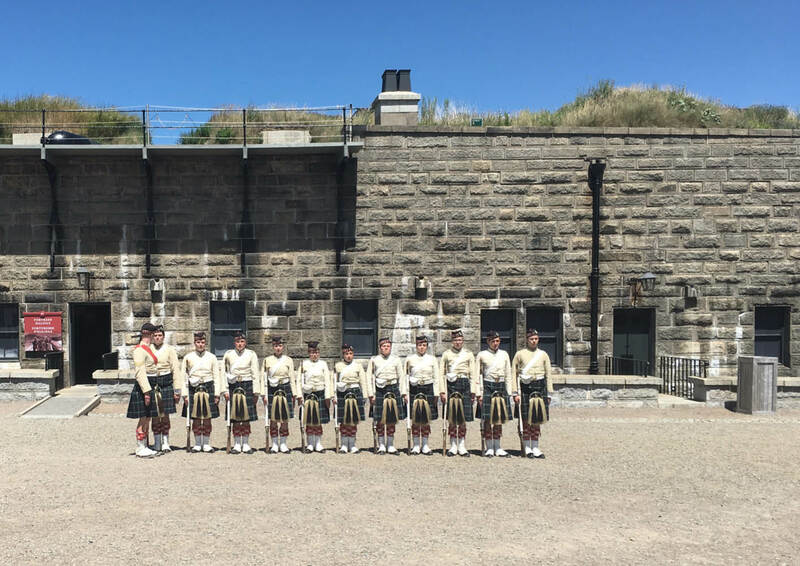 Even before you reach the British-built 1856 Fort George, you’ll likely hear the crack of rifle fire and the winded exhalations of bagpipes as re-enactments get underway. Once inside her formidable walls, you can wander through the buildings that once housed soldiers, walk along the ramparts, and even have a go at shooting a rifle yourself. Return in the evening for a ghost tour if the supernatural is your kind of bedtime story. So well-defended was Halifax during British rule, with cannons threatening would-be aggressors entering the harbour from the Citadel’s many vantage points, that the city was never attacked. However, she still saw her share of hellish tragedy, which came by way of negligence rather than malicious intent. Referred to as the ‘Halifax Explosion’, a catastrophic event took place on the morning of 6 December, 1917, when the SS Mont-Blanc, tasked with delivering explosives from New York to Bordeaux via Halifax, collided at a less-than-alarming pace of one knot with the vessel Imo. What ensued was an explosion registered as the largest man-made blast prior to nuclear weapons. Halifax was near-decimated with 2000 dead, widespread fire that damaged much of the city, and a resulting tsunami that wiped out the Mi’kmaq First Nations people at Tufts Cove. The immensity of this event can be surveyed at the top of Citadel Hill; take a moment to absorb the breadth of devastation and consider how different the city would look today had it not occurred. With the lens of history adding layers to your perspective of the city, it’s time to return to present day with a stroll down Spring Garden Road. A hub of dining and shopping activity, at one end you’ll find the shiny, modern Halifax Central Library; a dramatic stack of glass with the uppermost level looking thrillingly precarious. The architecturally designed library is a showpiece for today’s Halifax and has been bestowed much praise since opening in 2014. Locals soaking up summer rays and lingering with lattes in the forecourt of the building are proof the library’s ultra-cool design has been warmly embraced by the community. 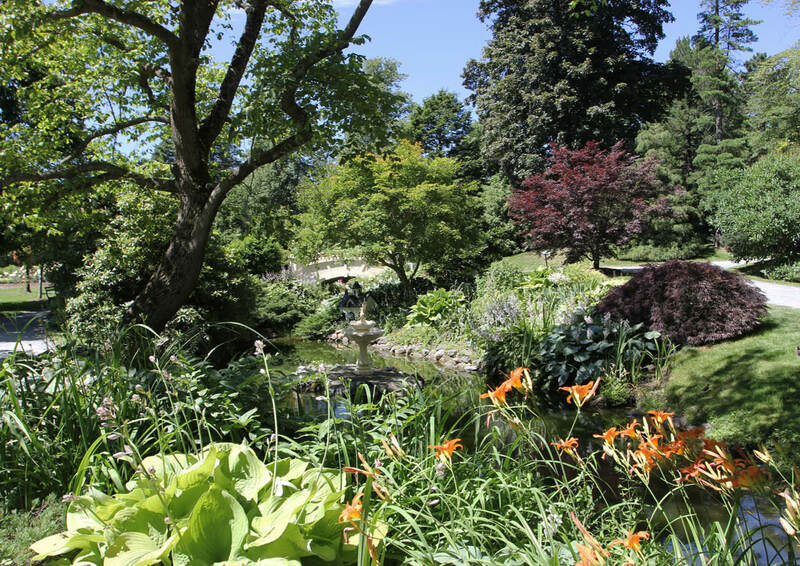 At the opposite end of the road to the library, in both geography and aesthetics, you’ll find the beautiful Halifax Public Gardens. It’s worth grabbing a takeaway sandwich for lunch and positioning yourself under a tree near the bandstand to enjoy the free, daily summer concerts. It’s your last night in Halifax before you hit the Nova Scotian road. Celebrate your onward journey with a send-off dinner at The Five Fishermen. 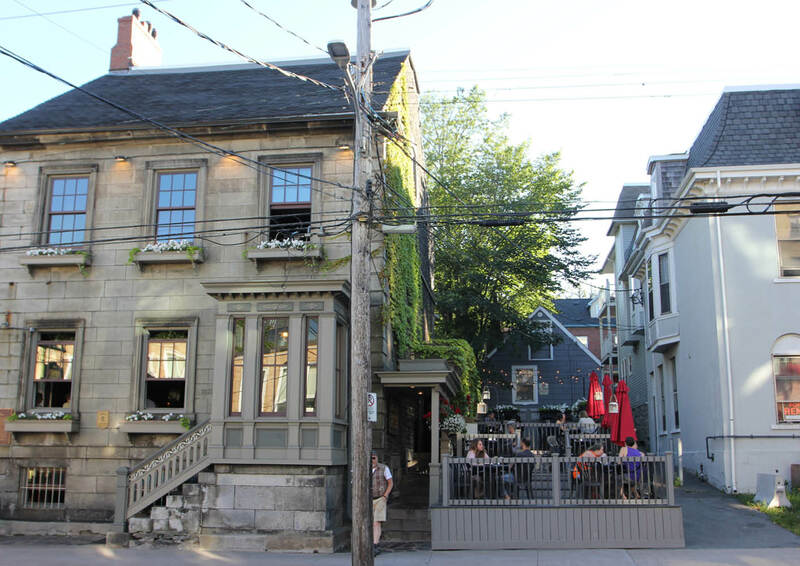 Ticking all the boxes for a sleek establishment you’d expect in a larger city such as Toronto, Five Fishermen is a special occasion sort of a place. Downstairs is a little more casual while fine dining takes the top floor, complete with attentive, sincere service. Unsurprisingly, seafood is the star here. It’s almost mandatory to begin with a plate of oysters. You might want to delay your morning departure slightly to make the most of some post-dinner entertainment at Bearly’s House of Blues and Ribs. You’re not here for the ribs, so order yourself a Propeller IPA and settle into this characterful watering hole for some thing-slapping fun. Bearly’s is one of those bars that leave you in no doubt you’re in North America. Settle in and get loud; it’s the beginning or your Atlantic journey. Oh, and don’t forget the tip (15 per cent minimum in Canada).